Since Deere didn’t make one, Tim decided years after this thought crossed his mind to create one himself. A JD mechanic, Tim had the know how and the talent to see this through. 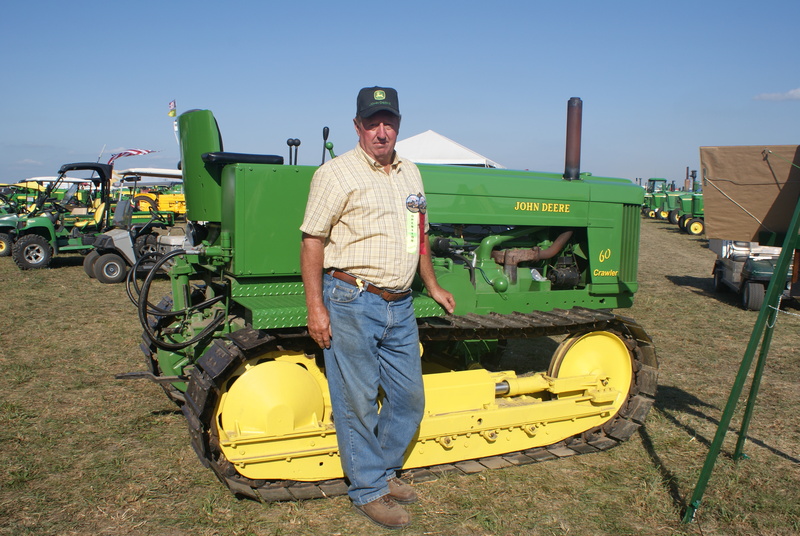 Our friend Bud Redeford had been following the progress of this tractor for quite some time. He was on a mission to see it at the show. After we spied it, I saw why Bud wanted to find this masterpiece. Although I don’t know what shows Time Sweeney may have this at in the future, by looking online you can watch this on youtube and travel by computer to Tim’s and watch him work his magic on this amazing machine!